As a photographer specializing in photographing people and their pets, Norah Levine of norahlevinephotography.com has met many people who have a deep connection to their animals. 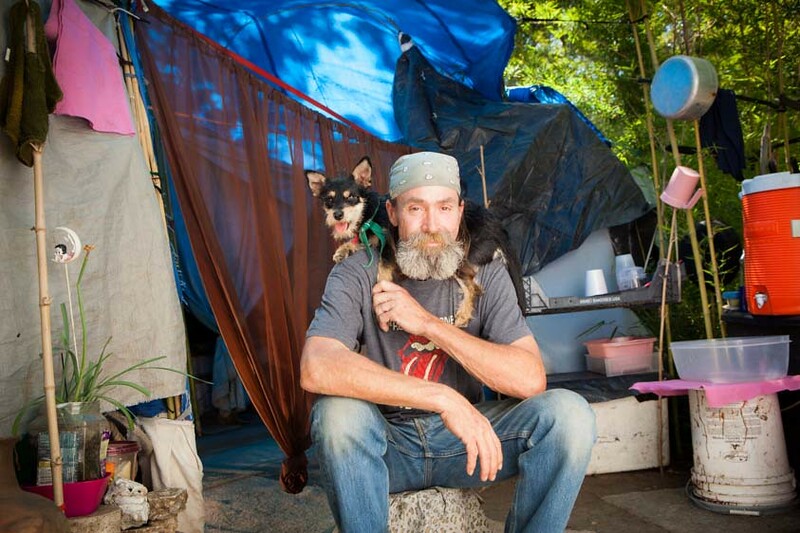 But once she began photographing the homeless and their pets, she realized how much of a lifeline animals can truly be. 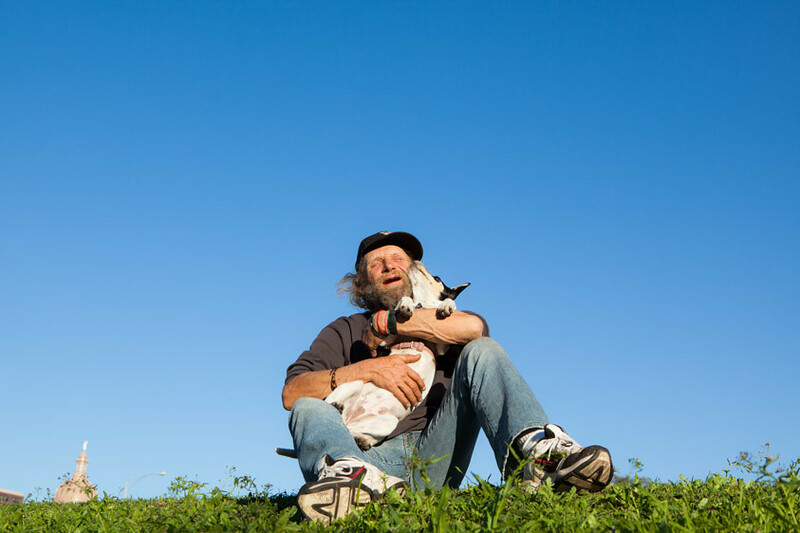 When Norah moved to Austin, Texas, she connected with Animal Trustees of Austin, an organization that provides treatment and resources for animals in the community, regardless of their owner’s income. “When I found out about that program, I was really inspired to connect with some people that used the services, and the project started there,” Norah says. 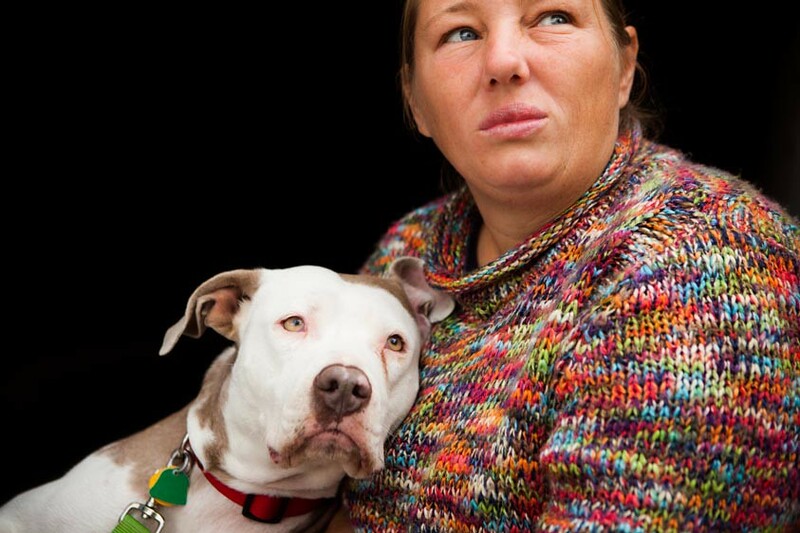 Norah created the photo series, called “Lifelines,” to honor the bond between members of the homeless community and their pets, and to illustrate that the connection between human and animal is a relationship universally understood. She teamed up with Gabrielle Amster, an Animal Trustees employee who served as the audio producer on the project. With every photo, Norah and Gabrielle recorded audio testimonials, asking their subjects to speak about their relationships with their pets. It was important to Norah to be authentic to the environment of the people she photographed. “I wanted to photograph them in areas where they spent the night, where they just hung out, something that was significant to them,” she explains. 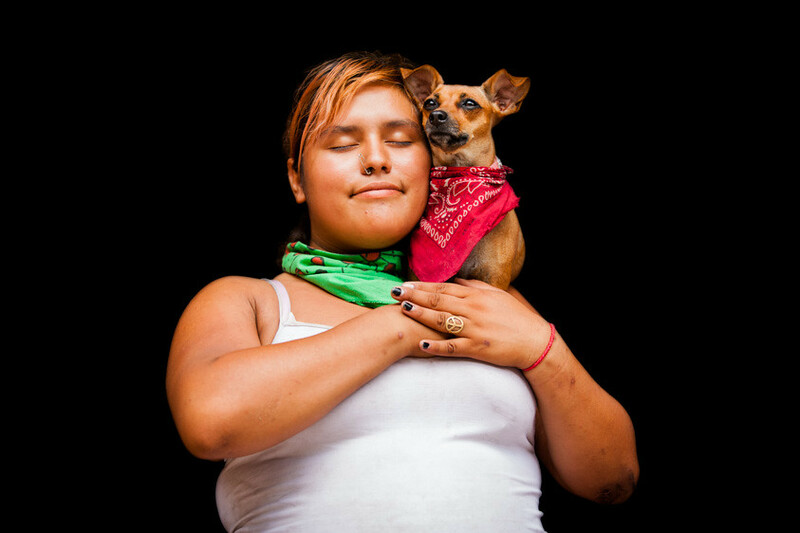 “I didn’t take them to a place that looked pretty for a photograph.” She photographed her subjects in alleyways, on the streets, or under bridges, and took the opportunity to tell her subjects about Animal Trustees and the services they could receive. Visit Norah’s photostream to view more of her photography. Yesterday we announced he #TwitterTuesday theme #Phone, and got many great submissions. We saw all sort of creativity from your photos, from how people rely on the phone, to the connections of people by phone. Yes, we love phones, and your photos too. Thanks to the invention of it. Almost everybody has one, and using it doing almost everything, from chat to each other to things far more beyond. Virtually no one could live without it in the modern world. It is #Phone, the theme for this week’s #TwitterTuesday.